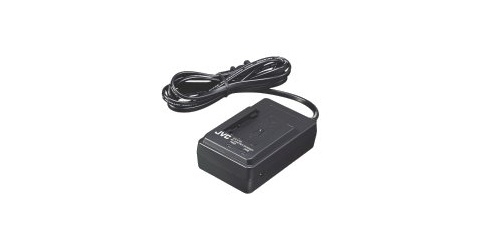 • Original equipment AC adapter / battery charger as supplied with your unit. • Note: For world wide use - runs on 120-240 volts / 50-60hz. Power plug adapter may be required in foreign countries. • Order DC cord separately - Pt # QAM0170-001 or VC-VBN800. Please, refer to your model instruction book for more information. • JVC*BRIGHT*IDEA! Extra batteries mean continuous shooting during recharging times. • Seize the power! Adapters & batteries make the fun happen!